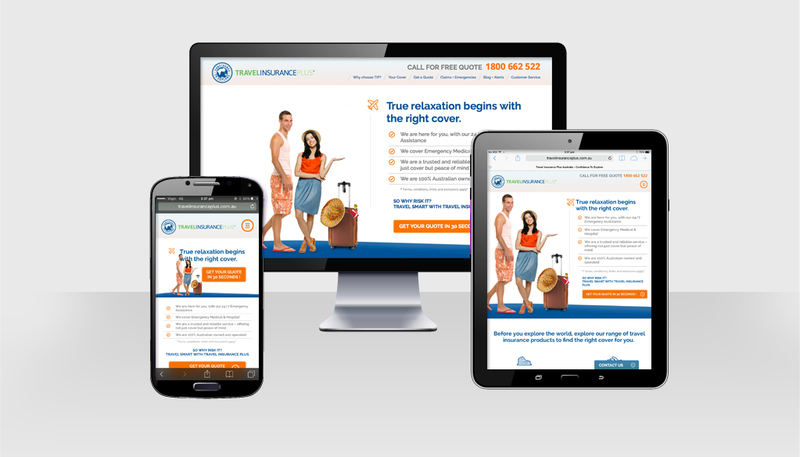 Hopping Mad Designs was commissioned to build the brand for new online travel insurance specialist, Travel Insurance Plus. HMD created the logo, marketing collateral and moved in to website, partnering to provide an SEO campaign and digital marketing strategies. The website is a responsive, brochure style website, integrated with claim widgets. The design has lovely imagery, strong messaging and quirky icons. Site users are guided through to relevant information quickly and easily. Strong calls to action are key to engage and convert visitors. 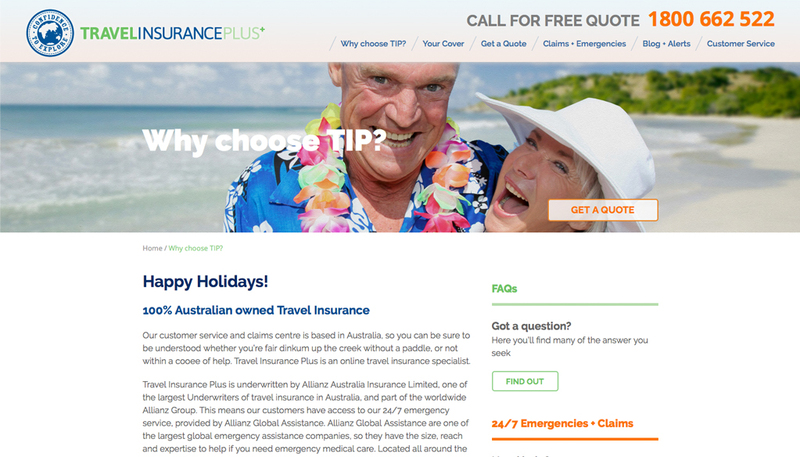 Travel Insurance Plus is carving a strong niche in an extremely competitive market, with big players. A unique brand identity sets them apart from a sea of similar brands.